Markus Persson's seminal building game due to ship on October 15; US release date not yet confrimed. 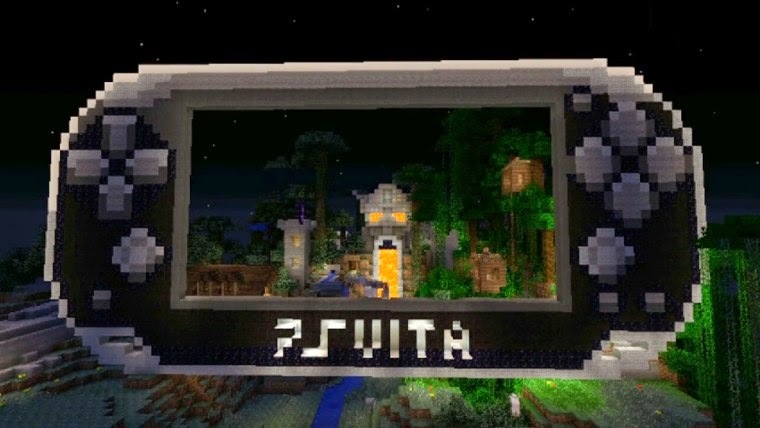 Sony revealed today that the US will be getting the Vita version of Minecraft earlier than the EU release. Minecraft on Vita will sell for $20 online starting on Tuesday, October 14. The game should be available at retail locations in the US beginning tomorrow. If you digitall purchase the Vita version, you'll be able to download the PS3 version for free on the same account and you can pay $5 for the PS4 version. If you buy the retail Vita version, your game will include a pack-in voucher code that provides digital access to the Vita and PS3 versions, and you can also upgrade to the PS4 Edition for $4.99. If you already own Minecraft on PS3 (physical or digital), you'll be able to automatically download the Vita version for free. But you're out of luck if you've previously bought the PS4 edition; "Only the PS3 and PS Vita Editions are eligible for the cross-buy offer."